I love January. Everything about it makes me happy. The beach, the summer nights, the bbq’s but mostly the intention. Everyone around me is talking about their plans for the year, posting about their resolutions on social media, people are motivated towards change. Some people are anti- new years resolution grinches. You can see it in their eyes when people start to talk about their goals and dreams for the year. I find people become scroogey with their new year preparations when they have had many years of failed attempts at bringing change into their daily lives. I have found the main reason in my past I have failed in my attempts at daily change, is that the reason for the change was never compelling enough to overcome the habit that had been formed. 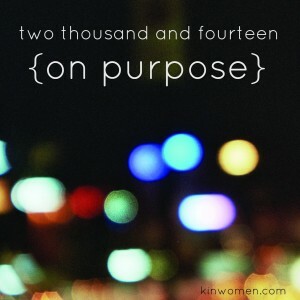 That is why I love the theme of purpose this month for kinwomen. To bring change into our daily lives, we need to find the why before the how. We need to know the reason for the necessity of the change, to bring motivation to overcome the intensity of the old routine. Change needs to be done on purpose. Not based in negative emotions or overwhelmingly unattainable goals, we need to piece by piece deconstruct the why and then rebuild the how. What I love about this process is it starts with what is going well in my world. Not all the things I want to change and what has gone wrong. Also these pages focus on the why. If you are struggling to start the year with purpose, maybe these change reflection sheets will help you. You can click on the link and print them off and fill them in. I truly believe this has the potential to be our best year yet! This is good stuff Amanda – thank you. I have printed off the Change Reflection pages with the intention of filling them in while it’s still January! ← A safe place, a bed and clean sheets.